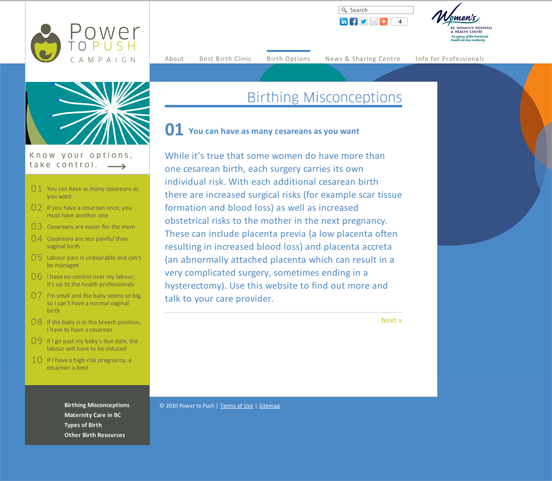 Campaign website for BC Woman's Hospitals Canada. 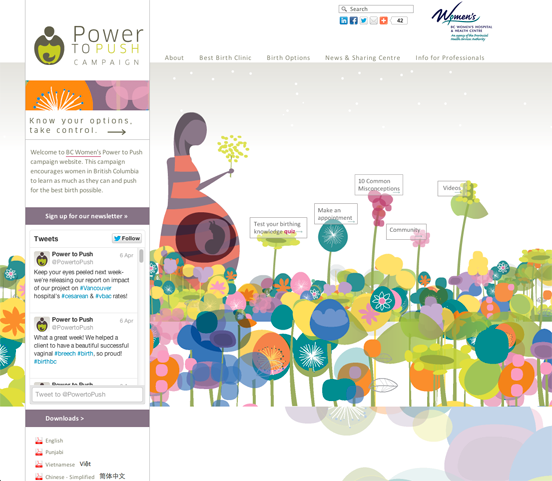 Engaging website with homepage flash illustration and quiz sections. 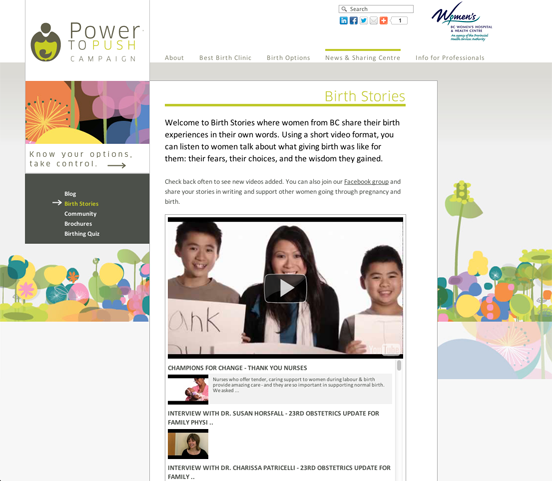 Power to Push is a 2010 campaign by British Columbia Women’s Hospital whose ultimate goal is to empower woman to birth naturally and reduce the need for caesarian births. The custom design was implemented by a two man team at Signals Design Group. My task was to implement the Flash developer’s flower animation onto the homepage and incorporate the rest of the site into WordPress. The site features a twitter feed, custom Youtube player component which fetches video from the client’s channel, a quiz section and a simple blog/news section.